Deciding On Selling Your Car, DYI Or Dealer? If you are planning to sell your car, you may be wondering whether it makes more sense to do so through a dealer or to try to sell the car yourself. There are pros and cons to each approach, but before you contemplate the best way of selling your car, you need to take a few preparatory steps. Understand Your Car's Worth - Do some research to find out what your car is worth. There are several online sites available to help you assess the value, such as the Kelley Blue Book and Edmunds websites and the National Automobile Dealers Association (NADA) appraisal guides. Follow up by looking at retail listings for your model of car to get an idea of the price you can expect from dealers and individuals respectively. Make your best adjustments for the condition of your car, any extra features, and the local auto market conditions. Seek independent help with assessment if you are having difficulty doing it yourself. Clean Your Car - Make sure the car is thoroughly clean if you want the best return regardless of who buys your car. Know Your Car's Condition - If your car needs any repairs or cosmetic work, you will have to take that into account and decide whether to have the repairs done beforehand or knock some amount off of your asking price. Having done your homework, you can now consider the pros and cons of selling your own car. Higher Price - You should be able to get a higher price from an individual than from a dealer. In essence, the difference is a wholesale vs. a retail price. With an older or high mileage car, the likelihood of your getting a good price from a dealer falls off significantly. Good Visibility - It is relatively simple to set up listings on multiple websites that allow your car great exposure. Just as with real estate, the more people who see your listing, the more likely you are to find an interested and qualified buyer. No Trade-In Shifts - When you are trading in your old car against a new one, the dealer can always raise the value of your trade-in, but compensate for it by raising the price on the new car in subtle ways. 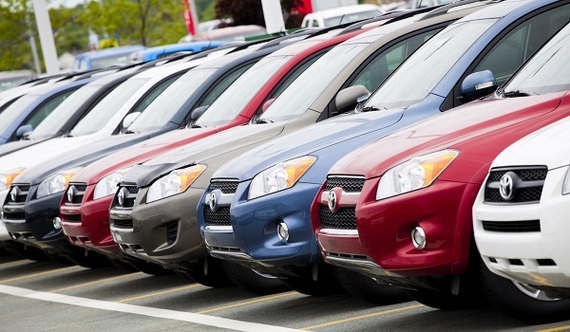 By keeping the sale separate from your new car purchase, you avoid this situation. Time - It is a time-consuming process to respond to phone calls and emails, meet with people, arrange test drives, and allow the buyer to have their own mechanic check out your car. You also have to handle your own paperwork. Scams/Safety Concerns - You run the risk of being ripped off by a potential buyer if you are lax in the payments you will accept (a cashier's check is best), and you will have to deal with strangers coming by your home. The vast majority of car buyers are law-abiding citizens, but there is always the possibility of getting a bad apple. Taxes - If you are trading in a car toward the purchase of a new one with a dealer, you will only pay tax on the difference between the new car cost and the trade-in value. You lose this trade-in tax advantage by selling your car separately. If you have the time, the aptitude, and the diligence to do your research properly, you can probably save a few thousand dollars by selling your own car. However, you may decide that the convenience of a dealer is best for you. Either way, with proper preparation you can realize a successful sale.